Growing up in a slave family, Booker T. Washington worked very hard his whole life not only to improve his own, but to improve the lives of other poor underprivileged people. Washington believed everyone deserved an education. 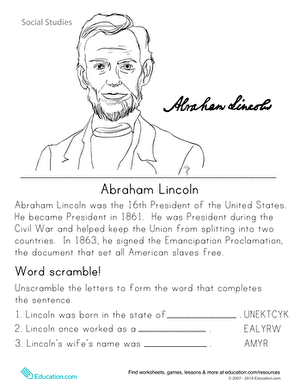 Learn more about this American hero with our Historical Heroes word-scramble worksheet.